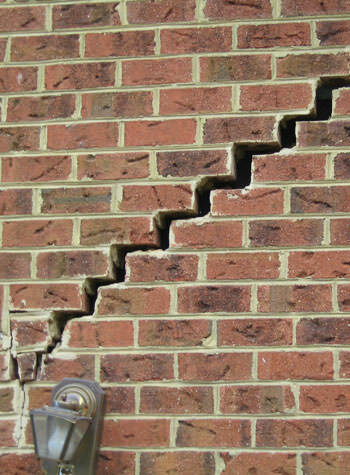 This homeowner noticed cracks in the foundation walls and knew that they needed a permanent solution. Wall anchors were installed to give the homeowner the peace of mind that their home would be safe and stable. Patio has a few cracks along with lowering slab along the back of the house. Driveway has several cracks that separate with a high/low lift. There are long cracks in the basement block foundation on one side. It is a stair step pattern following the blocks. Had it inspected and was told this was normal settling of the foundation. Would like to have looked at to determine repair cost. Just looking for an estimate on a basement wall that is cracked and falling in. We are purchasing a house in which a section of the garage floor has sunk. Slab of concrete in garage has had a very large crack going across it's width. Recently the side towards the garage door side of the slab (about 4' long by the width of the garage) has begun sinking down away from this crack. In the spring we had a collapse of a part of one of our foundation walls due to massive rain and a mud slide. It is a wood foundation. We have not been able to find a company to give an estimate because spring and summer is their busy season. I'm looking for estimates on rebuilding the part of the foundation that has collapsed. I have one corner in the finished part of the basement that is leaking water, this is about 2 ft. in each direction from the corner, the rest of the basement is dry. We would have done this 6 years ago had we known how great it would look! 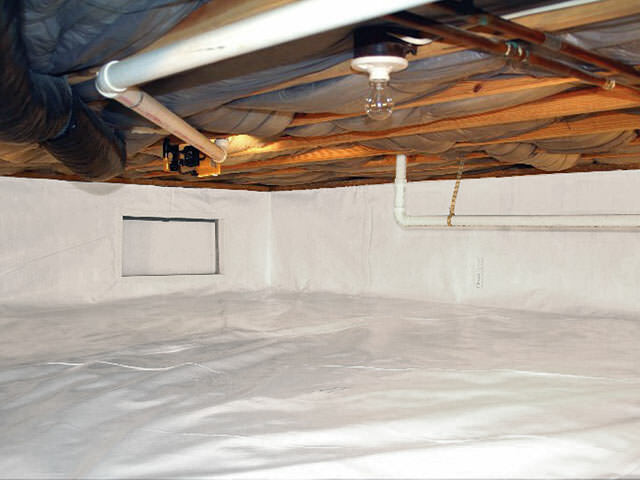 Homeowners in Chaska, MN were having troubles with their basement. Due to it being an older home, the floor joists were showing signs of dry rot and the home was experiencing structural issues. With this, the TEAM went in and repaired their basement. It turned out that the home needed SmartJacks to jack the home back up. Also, due to the dry rot on the floor beams, the crew needed to replace some of the existing beams with new ones. Now the home is stabilized and the homeowners no longer need to worry about structural problems or dry rot. Would like someone to look at our sump pump, and check foundation for water - seems like we have moisture showing in the cracks. From sidewalk sunken. About 4 slabs. first slab near front steps abt.5" and gradually less away from steps. We have a basement wall that appears to be bulging/tipping inward.